This was a publishing sensation. Could it be due to the fact that the novel combines two of the most loved types of genre, romance/love and fantasy/sci-fi? One thing is for certain, it definately has a page-turner quality about it. Having read the book and then watched the film adaptation, I believe the novel would have been better translated into a mini series on television rather than a film, because a series could have celebrated the page-turner quality to build up suspense and create further interest. For example, it is clear from early on that Henry is a time-traveller in the film, whereas the build-up to the explanation leaves the reader speculating while reading the novel. This could have been used to heighten curiosity in a television series format. I am not convinced that viewers of the film who had not previously read the novel got the same sense of urgency that comes across in Niffenegger's novel, particularly in the earlier time travelling scenes. Niffenegger writes most of the novel using direct speech. The flicking back and forth from past, present and future works well as a way for the reader to appreciate the urgency and sense of time that Henry experiences. The narration splits also, at times being told through Claire's eyes whilst other times through Henry's. While I appreciate this literary technique in other works- namely Margaret Atwood's novels, in this it did not work as well. There was something missing for me: a lack of description and authorial intrusion made it feel almost like a script at some points in the novel. 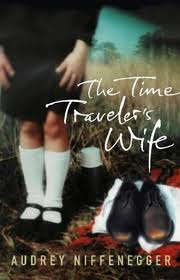 However, one thing is clear: the novel is called The Time Traveller's Wife, not 'The Time Traveller' and the reader is able to feel more sensitivity towards Claire than Henry. It is fair to say that it is not as evident in the film and at times almost feels as if the novel centres around Henry. Overall I would say that the mixture of themes used and the way in which the novel opens and finishes are its more stronger qualities. However, I did not feel the urge to immediately recommend it or reading further on the work and author upon completion. Whilst it would appeal to many readers, it did not tick the boxes of things I seek in a work of fiction. 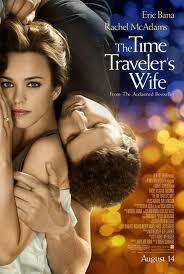 Finally, one thing I would suggest is for readers to watch the film adaptation and compare the differences.